Most updates to iOS apps are evolutionary: slight changes to the interface, bugs and security fixes. Recently, five of the photo and editing apps I use for RAW images were updated, with one receiving major changes to the interface and other improvements. I have used RAW images on DSLR cameras for a number of years. 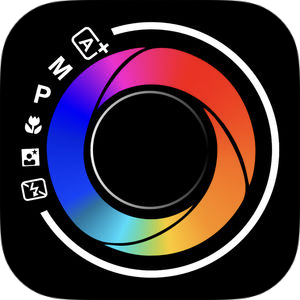 When the ability to take RAW photographs on the iPhone was enabled apps were initially slow to appear, but now there are several available on the iTunes App Store. Some may not be as good as others, but those outlined here all work well and I use all of them. I have been using Polarr Photo Editor on iOS - and on the Mac, where the interface is similar - since July of 2015 and it is a well-thought out app. On the iPhone it is particularly useful to me as it indicates those images that are in RAW format when the Photos library is accessed. With those files there is a nice little iCloud icon (in my case) when the file is being downloaded. Several toolsets are available, including a wide range of filters and a unique color-editing interface. The app also has a useful History that allows me to see what I did during an edit. It is quite usable on an iPhone, but like many such editing tools, the larger screen of an iPad make it easier if more detailed editing is needed. With the number of tools provided, this could be a one-stop editing app for some users. I have had this app for a few months and the latest update has fixed a critical bug. The interface is quite detailed and so may be a little complex for some users; but the settings allow some of the onscreen effects to be minimised. The range of options in the settings panel is wide, so this is a highly tunable photo app. Although TIFF files or RAW + JPG are options, I stick to the RAW-only option and this produces a photo of 4032 x 3024 of 11.4MB. The app can also be used to take video, which I have not tried, including time-lapse output. It is aimed at higher level users and among other features it has the ability to add copyright metadata (photo and video). It takes a little learning, but the range of options available make Pro Cam 5 a valuable workhorse. This app has been around for quite a while and is highly rated by many users. It has had regular updates (a good sign) with the list starting in the app store at version 6.1 some 3 years ago - that is quite long in app history. The most recent version has several fixes, with some particularly aimed at the use of RAW. The whole list is indicative of the developers reacting quickly to user feedback. The interface is much improved. At the top of the screen are icons for quick control of the camera: flash, telephoto/wide-angle, portrait mode, screen size (square, et al), and the rear camera. The interface is almost clear with a zoom slider, just above an autofocus icon, which do not really distract from the view on the screen. To the left of the shutter button at the bottom of the screen is a typical 3-line icon that reveals a rich selection of settings options and other information. In addition, immediately to the right of that shutter button is a small circle with a plus sign: this opens a quick access panel for some camera settings, like grid, level, GPS and RAW. A second row of controls changes the way the camera works and as each (timer, stabilizer, burst) is selected, it appears on the shutter button. To the left is a flower icon which opens access to a Lightbox. Photos taken can be stored and edited here; or the user may save to Photos (or both). Images, including RAW, can also be imported, although this may not be totally convenient. There is a good range of editing tools, including filters so Camera + can be used as an all-in photo-editing app, by those who like these features combined. 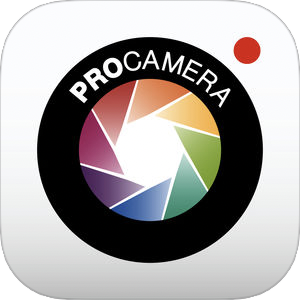 I tend to use ProCamera. a lot (and the App Store really does show that period in the name) when I am taking RAW images as I favour the relative simplicity of its interface. It also has a Lightbox, but also a Private Lightbox (accessed using TouchID or FaceID), but users may also save directly to Photos: that is my approach. Like may similar apps the user may add a grid and a level indicator. Deep within the settings there is also a copyright option, so the name of the artist can be included in metadata. I am always pleased to see this. The fine-tuning possible with the app make this quite versatile. It may be used in Auto mode, or by tapping one of the selectors at the top of the screen, time, EV, and ISO may be adjusted manually. To go with the flexibility, separate Focus and Exposure lock controls can be displayed and a tap on either of these holds the settings. The Exposure lock is particularly useful in a setting with differences in light levels, such as a room with windows. A nice touch is the display of settings, accessed through a typical three-line icon. This reveals a small panel with some common features; but there is also a link to a screen of all settings that a user has access to. This was one of my finds last year and I still do not fully understand why this hidden gem is not more widely used. DSLR Camera also works with the Apple Watch. The latest version (5.0) has seen a major upgrade and a new icon. Among the changes the interface has been revised and there are new predictive filters. The Italian-developed app has some idiosyncracies with language choices for labeling features, but this adds to the charm. Settings are kept to a minimum and are easy to change with one tap. The app does video, although I use it solely for photography. All features (White balance, Time, ISO, etc) may be used in Automatic mode, Manual, or Program. Depending on the choice, sliders are available for adjustment of settings. Ease of use makes this one of my favourites for taking RAW photos. Although Halide was not in the list of updates (it was last revised a month ago), it is worth bringing in because of the influence it appears to have had on RAW photography on the iPhone. Two articles by Sebastiaan de With - The Power of RAW on iPhone, Part 1: Shooting RAW and The Power of RAW on iPhone, Part 2: Editing RAW - led to wider interest in RAW photography on the iPhone and in Halide of course. The other partner in the development of Halide, Ben Sandofsky, wrote this week on how the app has grown in the last 12 months, helped in no small part by those articles which offer good insights into the use of RAW. Halide integrates with the image editor, DarkRoom and I tend to use this mainly when editing RAW images (from any of the apps I use) on the iPhone.